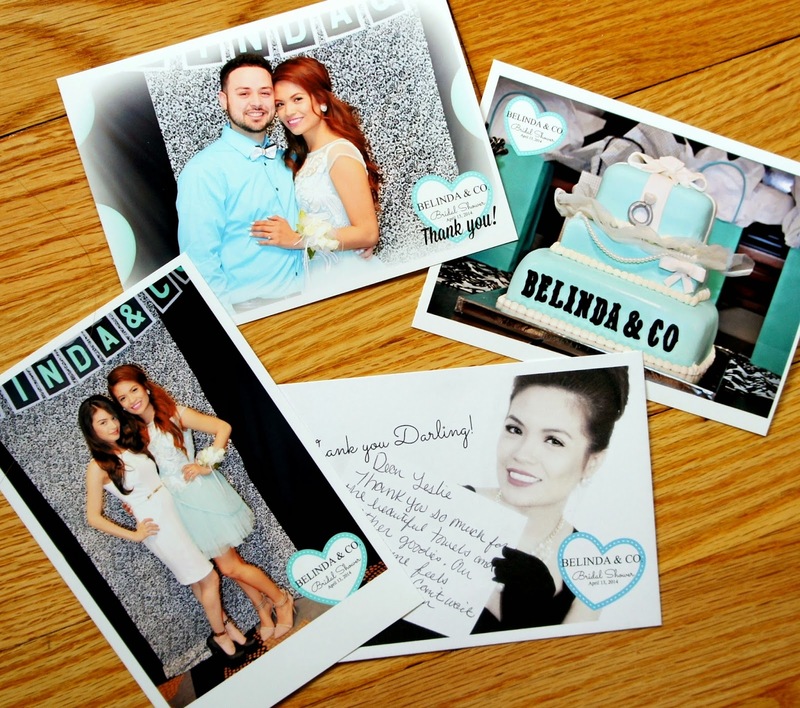 BelindaSelene: Bridal Shower "Thank You" Cards! 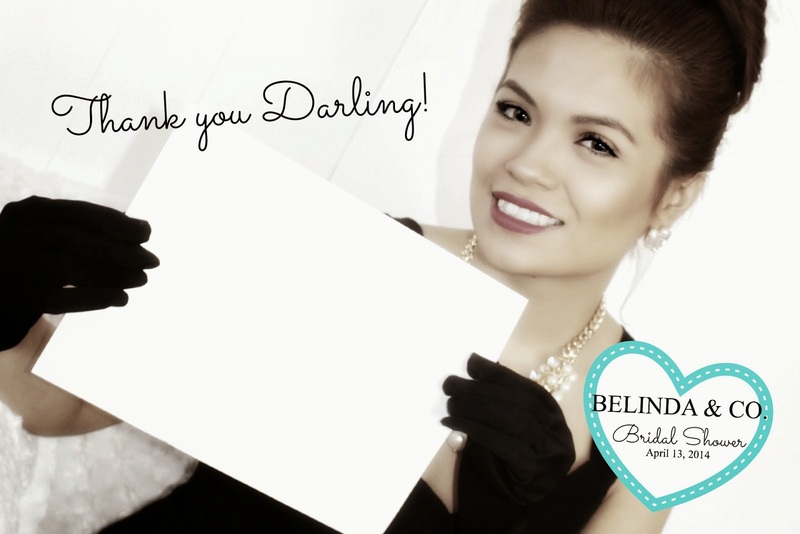 Bridal Shower "Thank You" Cards! Oh my gosh it's about to be a month since my last post! Yikes! I finally got around to sending out our "Thank you" cards from the Bridal Shower. I put a lot of effort into them. I couldn't help myself. You only get married once right? Hee hee. I don't want to regret not doing something simply because it was too much work. I designed my own cards with a picture from a previous photo shoot of me holding up a "letter" where I can write the message. 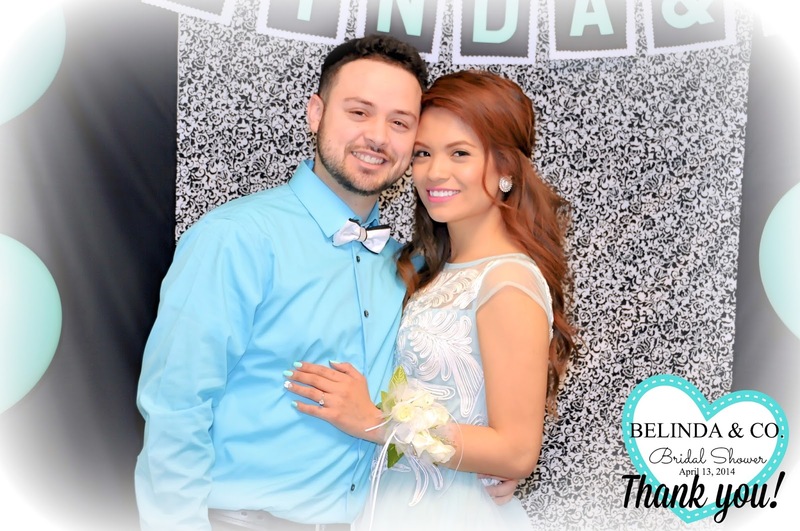 Then I printed each guest a picture from the Bridal Shower photo booth, that they took and a picture of Ricardo and I. I also designed the little logo at the corner of each picture. The pictures came out great thanks to our photographer Lissy Marie Serrano Photography. I look a little weird in this picture but oh well ha ha. Ashley thought it was a neat idea and she approved of the picture. I hope this gives you a little inspiration on how you can personalize your next "Thank You" cards. I'll have more on the Bridal shower soon I promise! FLASH SALE ON ROMWE TODAY! 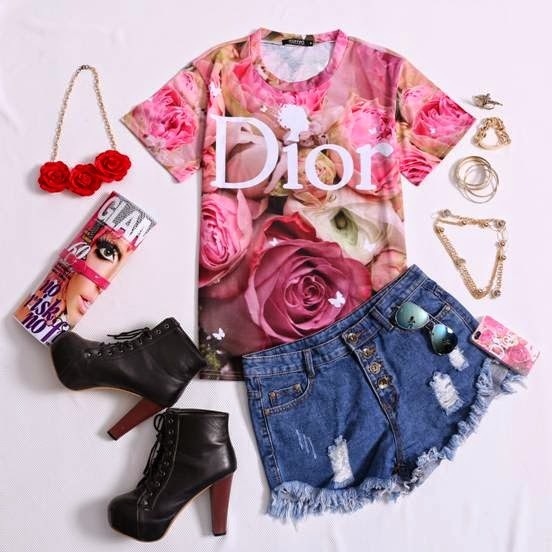 The Dior shirt is on sale for $9.99 for 24 hours today May 22nd. These are really cute cards! The fact that you personally did all of the work here means you are very dedicated to this. Who would've thought you could reuse old pictures for an amazing idea such as these? Was it your idea of having a separate photo for the "letter"? That was a really nice way to do it. Congratulations on your wedding! Happy wishes for both of you! I have also a shower blog, you are welcome to visit.